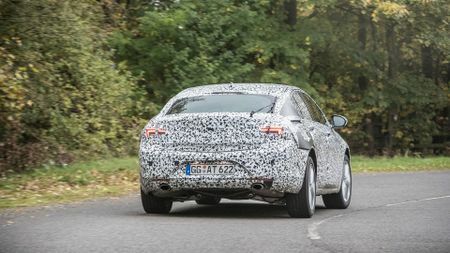 There were several things it was impossible to assess during our drive of the super-early development prototypes, but in pretty much all of the areas we could assess, the new Insignia is a big improvement on the current car. Only time will tell if it’s good enough to challenge the best cars in the class. Absolutely massive news for Vauxhall, not to mention thousands of company car drivers up and down the country. You see, despite trailing rivals like the Ford Mondeo and Volkswagen Passat in a number of important areas, not least practicality and dynamic ability, the current Insignia has been the best-selling car in the class ever since its original release back in 2008. And, since around 80% of the 900,000 Insignias sold have found homes on company car fleets, it’s highly likely that if you’re due to change your company car next year, you’ll probably be considering one of these. 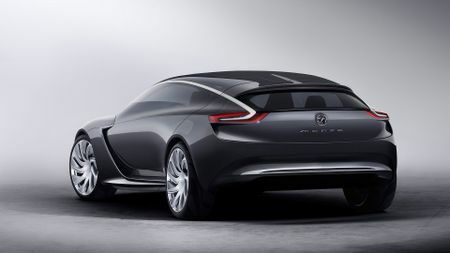 However, Vauxhall says it’s not just the old foes from Ford and Volkswagen that the Insignia has to compete with. Now that companies such as Audi, BMW and Mercedes are forming an ever-increasing presence in the fleet sector, the new Insignia must also do enough to tempt buyers away from more premium marques. 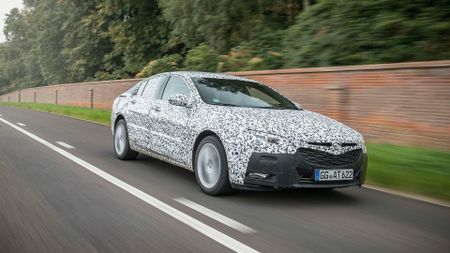 In order to do that, styling will be absolutely key, and to that end, Vauxhall says the Insignia will look a lot like the Monza concept car first shown in 2013 (not that you’d know that from the pictures of the heavily camouflaged prototype versions we were given the opportunity to drive). What you can’t fail to notice, though, is that the new Insignia has absolutely ballooned in size. 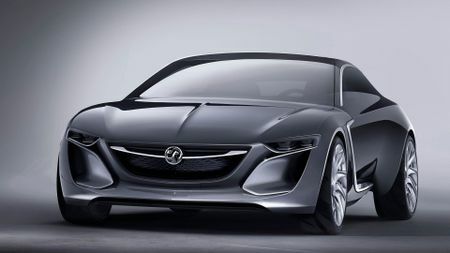 Based on an all-new platform, the car is longer, wider and taller than the one it replaces, which Vauxhall hopes will give it a lot more presence on the road. Indeed, the size of the car will be more familiar to BMW 5-Series drivers than it will to Passat owners. 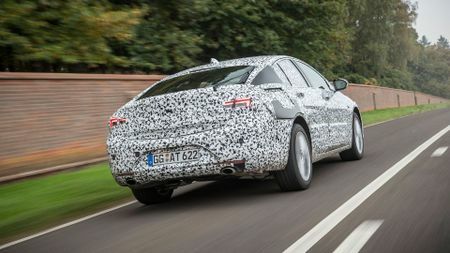 Yet, despite these inflated proportions, Vauxhall has managed to shed a great deal of weight compared with the current car, up to 175kg, depending on the version. With our test cars being extremely early prototype versions, cast-iron details about the car are in very short supply. We can say with confidence, though, that the boost in size has certainly had the desired effect on practicality. The cars we drove were five-door hatchback versions, which Vauxhall now calls the Insignia Grand Sport – the estate version will continue to carry the Sports Tourer name – and interior space is much more generous than in the current car. Granted, rear headroom might still be a shade snug for passengers much over six feet tall, but the injection of an additional 92mm into the wheelbase means rear kneeroom is extremely generous, allowing passengers to scooch down in their seat and stretch out. Whoever sits in the middle seat will still have to put up with a cushion that’s hard and raised, and a transmission tunnel that robs you of foot space, but the same is true in the vast majority of the Insignia’s rivals. Meanwhile, the boot looks to be a competitive size compared with rivals (although no figures are available yet), and although the shape is far from perfect, it’s an improvement on what went before. Sadly, we can’t tell you much more about the interior, because it was just as heavily camouflaged as the bodywork. The dashboard layout seemed to be reminiscent of the latest Astra’s, meaning significantly fewer buttons than before for a cleaner, less confusing layout, but that’s about it. The quality of materials on the final production car, and the fit and finish of the panels, remain a mystery. The touchscreen infotainment system in our test cars wasn’t the finished article, either. That being said, the infotainment system is likely to be similar to the Astra system, which, while it doesn’t have the most intuitive interface ever, does offer an impressive range of functionality and connectivity. Getting comfy at the wheel is much easier than in the current Insignia, because the driving position is much lower and feels more natural. Bigger door mirrors also give you a much clearer view down the sides of the car, but we couldn’t really get a feel for over-the-shoulder visibility due to the amount of camouflage glued to the bodywork. And thankfully, you’ll also detect a distinct improvement over the current Insignia once you get the car up and running. The fidgety, unsettled ride has been swapped for an experience that’s altogether more civilised, isolating you much more effectively from the effects of a coarse or rippled surface. It still isn’t the smoothest-riding car in the class, but it’s far closer to the class leaders on that score than it was. The same goes for the handling. Body lean seems to be fairly well suppressed and the transition from one bend to another takes place without too much fuss, but slightly remote steering means it won’t trouble the sharpest cars in the class. Even then, though, the steering is a big improvement on the current Insignia’s, because it’s more consistent in its responses. 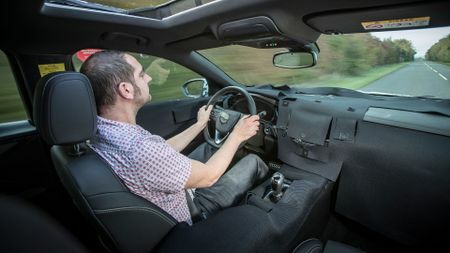 We also tried a car with Vauxhall’s Flex Ride adaptive damping system, which alters the characteristics of the suspension, steering and throttle response, according to which driving mode you select. While the variations between the modes are of the blink-and-you-miss-them variety in the current car, there’s a far larger variation in behaviour in the new car, giving each mode its own discernible character. While you can feel more float from the suspension in the more comfort-orientated mode, it’s still debatable whether it’s actually any more comfortable, and it’s a similar story with the sporty mode. There’s no debating the merits of the engine we tried: the entry-level 1.5-litre turbocharged petrol with 163bhp. 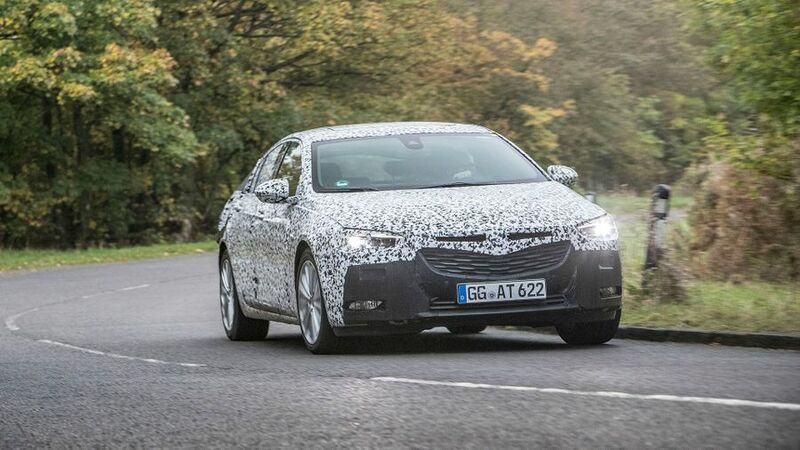 This engine has been newly developed for use in the Insignia because Vauxhall felt the existing 138bhp 1.4 engine found in other Vauxhall models might not be up to the job. That might well turn out to be a very shrewd decision, because the 1.5 has decent punch at the very bottom of the rev range for good flexibility, and things get a lot fizzier when the turbo chimes in properly. It stays pretty smooth and quiet, too, and the new six-speed manual gearbox delivers smoother shifts than drivers of any current Vauxhall product will be used to. We also had a shot in the range-topping version, a 247bhp 2.0-litre turbocharged petrol mated to an eight-speed automatic gearbox and all-wheel drive. If we’re honest, this version was rather less impressive. It didn’t feel anywhere near as quick as it should with numbers like those, and the gearchanges felt a little slow and reluctant. With so many details still unknown, it’s pretty much impossible to say for sure. Pricing will be key, as will equipment levels and the CO2 figures that’ll dictate those all-important running costs for company car drivers. At present, however, those are all details we simply don’t have. What we can say, however, is that next year’s Insignia is a big step forward compared to this year’s in pretty much every area we could get a feel for, and that means it’s going to trouble the best cars in the class a lot more than it ever has before. It remains to be seen whether it can trouble them enough to take the lead.